A range of Chlorine Safety Equipment offered by us includes Chlorine Cylinder Leak Arresting Kits, Self Breathing Apparatus and Chlorine Leak Absorption System with Neutralization Tank. These consists of various tools and appliances and reduces the risk of spreading the gas in to the atmosphere. 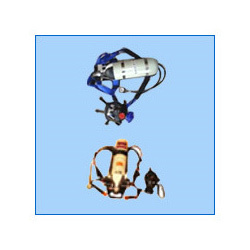 All the safety equipment are durable, reliable, leak-proof and shows high performance. We provide chlorine safety equipment that reduces the risk of spreading the gas in the atmosphere. 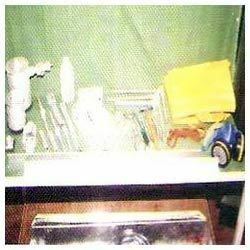 Comprising of various appliances and tools of standard sizes, separate kits are used for toners and cylinders. 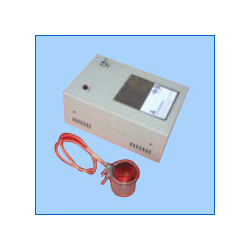 The equipment is suitable for atmosphere where there is a deficiency of oxygen. These safety equipment are designed to stop and control leakages from valves, cylinders and containers that are used in handling chlorine. We also provide customization as required by the client. 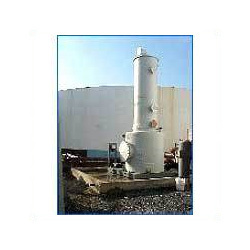 The chlorine leak absorption systemwith neutralizationtank is a safety device that reduces the risk of chlorine gas spreading into atmosphere. Available in a range of cylinders from 100 kg to 900 kg ton, these containers absorb in caustic solution creating hypo chlorine which can be reused or used as cleaning agent. The system consists of a blower, piping valves, an alkali (Naoh) tank, alkali circulation pump, an absorption tower packed with rasching rings, light weight FRP and PVC duct. In the event of a leak, this system allows the person to breathe easily rather than panic. The leak is confined by a hood covering the leaking container, sucking the chlorine by blower and delivering it to the absorption tower. Chlorine leak absorption capacity of the system is kept at 100 kg/hr & 200 kg/hr for 100 kg cylinder and 900 kg toner respectively. We offer the chlorine cylinder leak arresting kits that consist of various tools and appliances like gaskets, yokes, studs, tie rods hoods, clamps, spanners, mild steel channels, screws, pins, wooden pegs etc. In standard sizes. Separate kits are used for cylinders and tonners. All the gadgets are designed for use in controlling or stopping leakages from valves, fusible plug and side walls of cylinders and containers that are used for handling chlorine. The drip leg heater is a versatile system for boosting the flow of chlorine gas whenever the requirement of chlorine gas is more. With a wall mounting arrangement and a controlled temperature of 80-85 degree, the drip leg heater is an essential accessory in the industry. Looking for Chlorine Safety Equipment ?